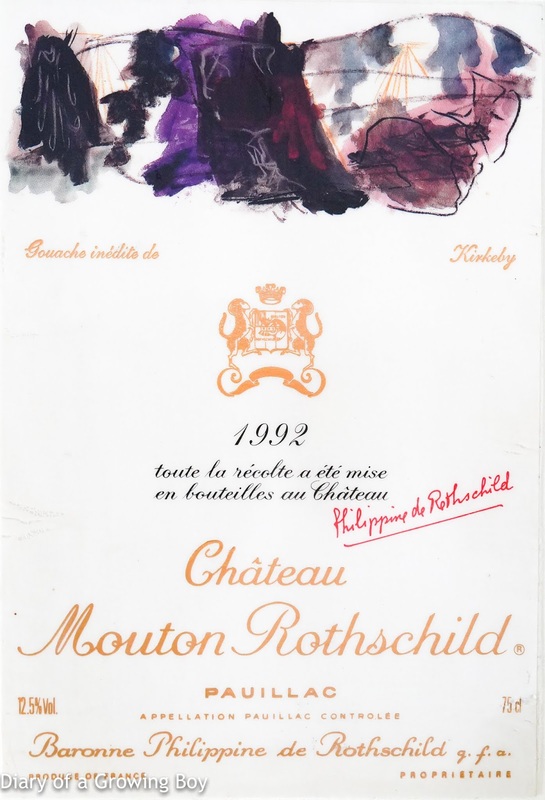 1992 Mouton-Rothschild - it wasn't a spectacular year for Bordeaux, but it was classic Pauillac and my first Mouton. A bit of spicy notes on top of earthy and cherry tones. Medium bodied. Definitely ready to drink, but needed an hour or two to air.